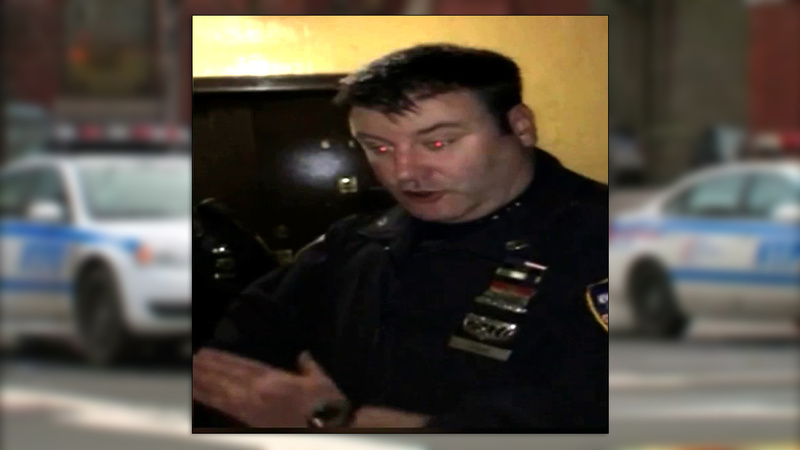 BRONX, New York (WABC) -- An NYPD officer is charged with driving his patrol car intoxicated while on duty in the Bronx last month. Richard Evans, 44 years old and a 15-year veteran of the force, has been indicted on charges official misconduct and driving while intoxicated while responding to a police call. According to Bronx District Attorney Darcel Clark, Evans and his partner were responding to a noise complaint at a Webster Avenue apartment Dec. 8. Sources say Evans showed up to his midnight shift 20 minutes late for roll call. An individual at the scene called 911 to report that Evans appeared to be drunk, and Evans was observed slurring his words on video taken by another civilian at the scene, authorities say. Other witnesses who did not want to go on camera say Evans smelled of alcohol. They recorded video of Evans. He drove back to the stationhouse, where two NYPD Sergeants and a Captain found him unfit to perform his duties, according to Clark. Evans was arraigned Thursday and released. He is due back in court on March 7th. Evans faces up to a year in jail and a $1,000 fine if convicted on the top charge.